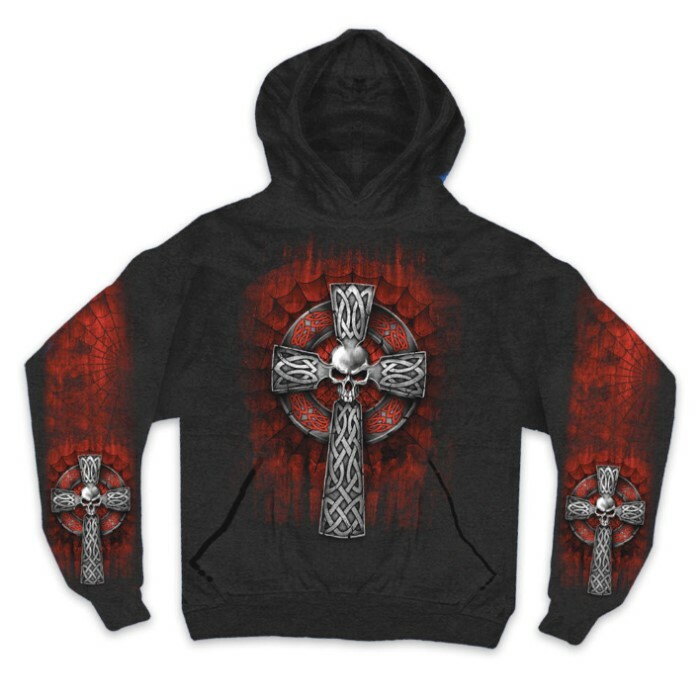 Celtic Cross Hoodie | BUDK.com - Knives & Swords At The Lowest Prices! This Hoodie will keep you warm and in style...only from BUDK! Features full color artwork on front and down both sleeves. Made from 9 OZ Fleece. Select from available sizes below.